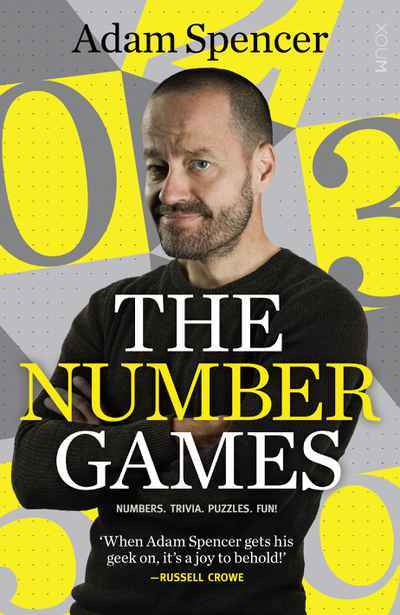 Following on from his Big Book of Numbers (2014), World of Numbers (2015), and Time Machine (2016), Australia’s funniest mathematician is back with a brand new book of number puzzles and trivia! Featuring hundreds of mind-bending, head-scratching, intelligence-testing number games, puzzles, and quizzes — plus tonnes of hilarious and fascinating number-based trivia — this is a book that will make you think, laugh, and cry (and quite possibly stare in amazement as your kids solve things before you do!). We all know how important it is to nourish and train our bodies, but our minds need exercising too. So keep your brains active and lively, and test yourselves against your friends and family, with 2017’s biggest and best book of numerical fun.